To prepare students to successfully transition into responsible global citizens. To foster a safe, positive, and nurturing learning environment that combines age-appropriate instructional practices – emphasizing on academic and personal excellence – with the traditional value system so that the students are well-equipped to face the future. Samashti has been ranked No.16 among India’s top 20 International Day Schools and No.5 in Telangana and Hyderabad, based on a survey conducted by Education Today. Samashti has been adjudged as one of the top twenty CBSE schools in Telangana and AndhraPradesh by Brainfeed Magazine under the category of School Excellence awards in 2016. Ranked no.3 in India for ‘Effective Partnership with Parents’ by Early Childhood Educational Association in 2017. 6th best school in Telangana as per Business World- Cfore India School Rankings 2016. Our managing director, Ms.Swetha Manthena, has been recognized as one of 100 Highly Effective Edupreneurs of 2016 by Alert Knowledge Services. Women In Education Award to the principal by 25th Business School Affaire and Dewang Mehta National Education Awards in 2017. Acharya Devo Bhava 2016 award to the principal in recognition of outstanding services in the field of education, given by Brainfeed organization. Best District Teacher award to Math Teacher Ms.Annapurna by Science Olympiad Foundation. National Rank 120, Telangana Rank 8 and All India Subject (Middle school English) Rank 14 secured by Ms.Sasi in the Teachers Professional Olympiad conducted by Centa Org. Brainfeed - Best Innovative Practices/ Sports Education/ STEM Education School. India's School Merit Awards - Ranked 1 in “Innovative Teaching” among Top CBSE Schools of India. Ranked 4th in India for Steam Education Excellence by Education World. Ms. Swetha Manthena, Managing Director, Samashti International School, was awarded India’s Greatest Brands & Leaders award at AsiaOne. Samashti, one of the top CBSE schools in Hyderabad, was established with a vision to impart holistic education, keeping culture, innovation, and overall development. Our 10-acre campus ensures an environment in which students thrive while staying close to nature. Every aspect of schooling has been devised keeping the growth and happiness of students in mind. We firmly believe that infrastructure plays a fundamental role in enabling adaptation and learning in CBSE schools. That is why, we think beyond the usual classroom teaching and let children interact different facets of life. “We are proud to be part of Samashti's International School commitment to success and can say with the deepest sincerity, that we endorse Samashti School for your child's personal growth.” – Such words from parents are a constant driving force for us to do better and focus on molding our students to become trustworthy citizens in the future. The promoter and founder chairman of Nagarjuna Construction Company Ltd Dr. A.V.S. Raju was Awarded the prestigious Padma Shri award in 2010. 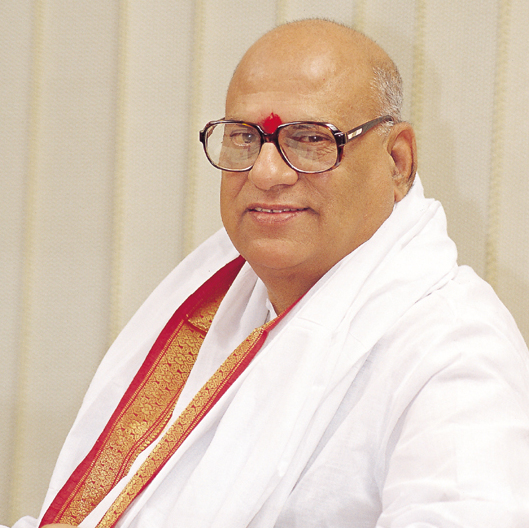 He has been widely recognized for his expertise in Telugu literature and contribution to the society. He also has a spot in the Guinness Book of World Records for penning the largest biography in Telugu. He is a devoted believer of Karma Yoga and understands the contribution Indian values have in one’s personality development. His ocean of knowledge and experience has served as great inspiration to Samashti. 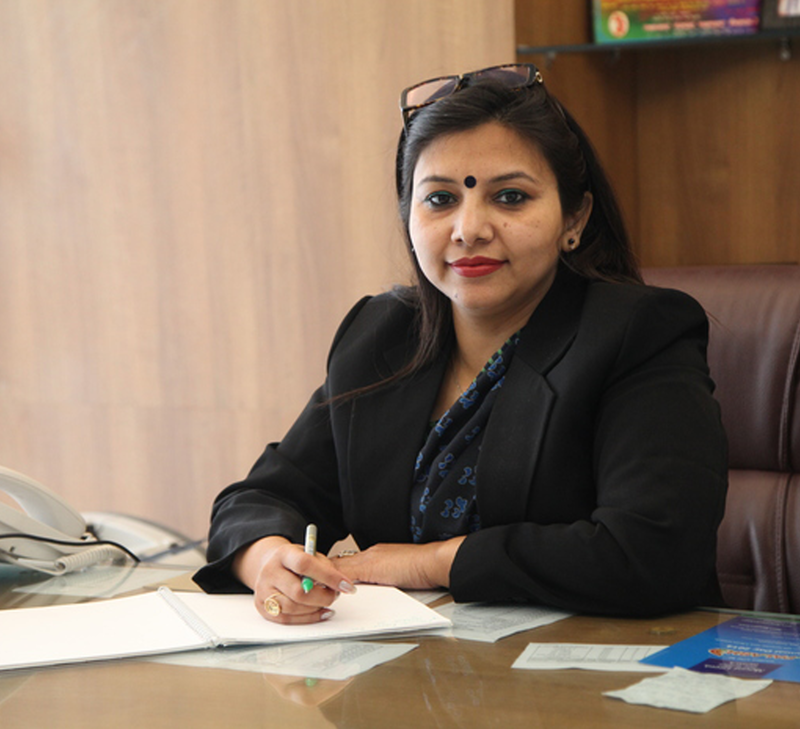 Samashti is Swetha Manthena’s brainchild, born as a result of the firm belief that a school should provide a strong foundation on which students prosper and reach great heights. The school has an assortment of extra-curricular activities and world-class infrastructure so as to provide class-A facilities, true to her belief. Ms.Meera Bhandari Arora recipient of several prestigious awards such as the Young Woman Education Excellence Award, Teacher's State Awards and Youngest Principal Award has served as an educator for the past 15 years in several roles starting from Teacher , Principal and Director.An innovative , forward thinking , empathetic leader with Masters in History and English firmly believes that Together we can do great things, when we work together everyone Wins!